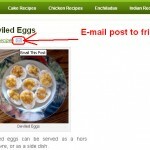 WP-EMail is a very useful plugin which I used in many of my blogs. With recent upgrade, don’t remember when it happened, this plugin started to show error when you forward post to a friend. The suspicion arose when I see no post being forwarded on one of my blog which usually used to have many forwards. I saw no E-mails being forwarded since May 2012 which I suspect is the timeline when this plugin stopped working. 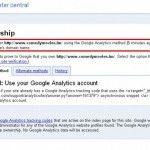 Search for “Failed To Verify Referrer” doesn’t provide any solution. 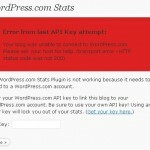 The solution provided by plugin author is to disable cache which doesn’t work. I don’t use any caching or minify plugin. So this solution didn’t work for me. I tried to empty browse cache as well but this didn’t work too. If the plugin usually works then the most probable cause might be the conflict with other plugin. Solution is yet to be found. I’ll keep updated if I find any solution. I communicated with Lester Chan on his blog but no solution to be found yet. Verification failed. 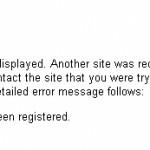 We encountered an error looking up your site’s domain name. I’m also facing similar problem. I tried the solution which you have mentioned above but none of them worked.